In case you are wondering what a bicycle shop-bistro is… it’s of course a bicycle shop that also functions as a bistro. So if you want to grab a bite and bike, you can do that here. 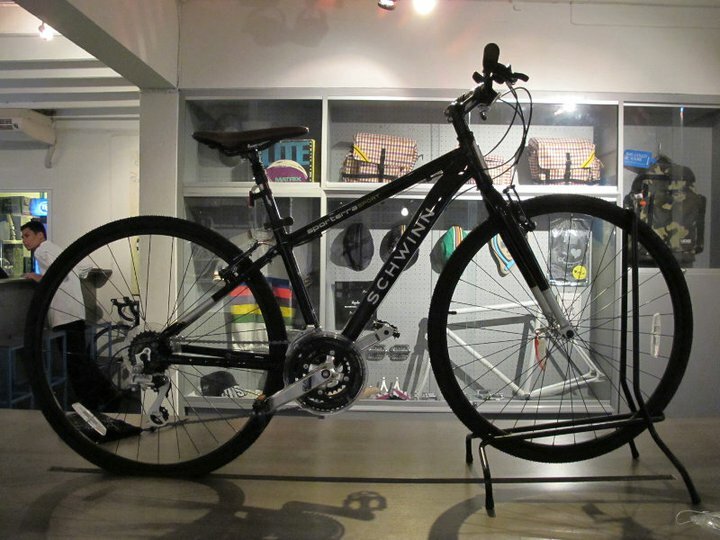 Now, honestly – on a Bangkok sightseeing trip you probably won’t buy a new bicycle (and unless for some reason your Shimano Dura-Ace broke down somehwere, anything else in this shop). But if you are passionate about biking, you might like to visit this bike shop anyway and enjoy some nice food with other fellow cyclists – it’s just a nice opportunity to hang out with other like-minded people, make new friends and maybe get some ideas. There are plenty of opportuntities to rent a bicycle in Thailand and go on tours, from small half-day city-cycling tours to adventurous off-road tours. Pedalicious is located near Vanilla Garden. Go to 38 Ekkamai, Soi 12, and if you have trouble finding them just call them at 02 713 3377. Of course, you can also check out their Facebook page. They often have some events coming up, and you get to learn more about their cocktails and menus.